Baishnab Charan Parida was 77 and is survived by his wife, a son and a daughter. 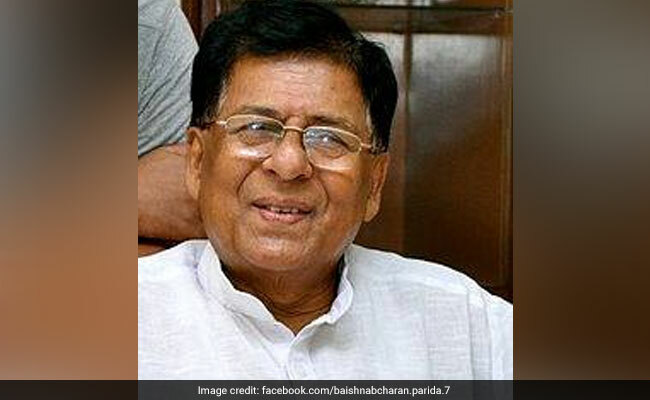 Former Rajya Sabha member from Odisha, Baishnab Charan Parida passed away at a hospital today following a prolonged illness, family sources said. He was 77 and is survived by his wife, a son and a daughter, they said. Mr Parida, who was undergoing treatment at a private hospital, breathed his last Thursday morning. A prominent politician, writer, columnist and a social activist, Mr Parida was elected to Rajya Sabha in July 2010 on a BJD ticket and his term ended on July 1, 2016. A host of distinguished persons including Odisha Chief Minister Naveen Patnaik condoled the demise of Mr Parida and conveyed deep sympathy to the bereaved family. Petroleum Minister Dharmendra Pradhan also expressed grief over the passing away of the senior leader and described him as an experienced politician and social worker who made valuable contribution for promotion of Odia language. Odisha Pradesh Congress Committee president Niranjan Patnaik also condoled Mr Parida's demise. "Deeply saddened to hear about the unfortunate demise of former MP, social activist and writer Baishnab Charan Parida. I pray to Lord Jagannath to give his family and loved ones the strength to endure this moment of grave grief," he tweeted. BJP state unit president Basant Panda, legislature party leader K V Singhdeo and Samajwadi Party state president were among those who condoled the death of Mr Parida. Mr Parida, who was president of Odisha Bhasa Suraksha Sammilani, had been fighting for promotion of Odia and use of the language in official works. Born in Jajpur district in 1941, Mr Parida was a member of the Communist Party of India (CPI) from 1960 to 1992. In 1974 he moved to Moscow with family for a special assignment for Indo-Soviet coordination and stayed there till 1989. In 1993, he joined Indian National Congress. Until 1998 he was in Congress but quit the party and joined Samajwadi Party in 1999 as its state president. He was in Samajwadi party till 2008 when he joined the BJD.